As you probably have heard by now-you aren’t in the business of (fill in the blank here). You are in the business of marketing. Your marketing must be automated and systemized. Period. Create your own advances and get paid to create information products. Many, many target markets are considered “information hungry”. 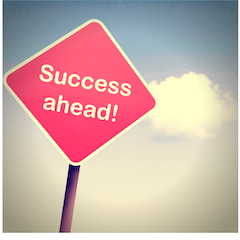 Success on the Internet is about providing high-quality information, solving problems AND the list. Used strategically, social networks extend your brand and funnel thousands of new leads into your business funnel each and every quarter. Set up correctly, these launches generate thousands and tens of thousands dollars of income, new leads for you, and all your partners. Certification programs aren’t just for large companies. Solo online entrepreneurs can also benefit from building and creating a certification program within their company. Learn how to find, build, and manage a virtual team. The key to “leverage” is the team. We all have weaknesses. Don’t make the most common entrepreneurial mistake: thinking you can do it all. All successful businesses are built on thriving relationships‚Äìon and off the Internet. And with all relationships, you should focus on who and how you attract partners. Learn what your publishing options are and make a choice based on the path that is right for you based on your personality, strengths, and weaknesses. One of the best strategies for growing the list is an online virtual event with multiple partners or joint ventures. Give customers free access and structure the event correctly and it is a huge list builder. Most entrepreneurs spend so much time focusing on all the “outside” stuff that they forget to get help on learning how to “think” like a CEO. Your success and ability to run a profitable company depend on your learning how to develop your CEO intuition. 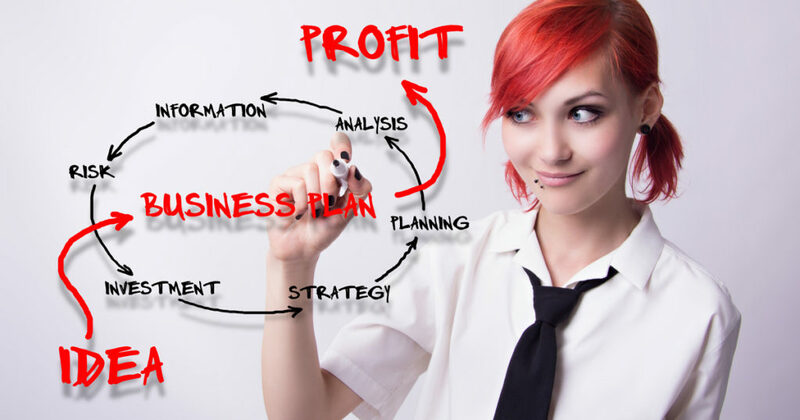 All successful entrepreneurs incorporate visual components into their strategic planning. They spend as much time planning as they do in the marketing, operations, finance parts of their business. Launch Promotions (for products or services). Personally, I love to do brand/ business marketing. Here’s why: It’s all about the giving.. giving tools, resources, tidbits of info that will help encourage, empower and equip folks. When marketing a brand you are really just sharing what that brand is about and how it helps others. This is fun and exciting and it allows an opportunity for the business to really shine in its market. It is not asking, selling, or requiring anything other than the opportunity to share and give to others. 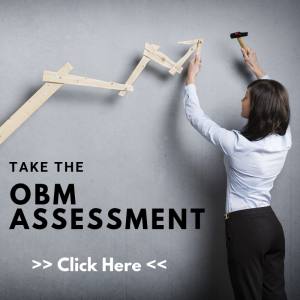 It is vitally important that we as OBM’s have a solid brand marketing plan in place that is ongoing.. should be set on auto-pilot as much as possible. This would look like: pre-loaded daily tweets of topical truths from a clients book or products, it may look like weekly tips (wink), it may look like optin pages with free offerings, it may look like coupons or specials offered into the market… it truly is a giving opportunity. Put a schedule in place for these types of efforts to ensure they do not get overlooked in the day in and day out of putting out fires.. as this type of marketing isn’t closest to the money, it isn’t exciting, it doesn’t demand attention but it is concrete and solid in the continual growth of the brand or business. Launch Promotions being the sprinter, need to be extremely strategic, unlike the brand marketing which you can play around with, do different things, flow with, launch promotions need to be very hard hitting. The strategy needs to be very targeted to be most effective you will have researched the market, understand the language of the potential customer, got in their heads and began to understand the buying style therefor understanding the elements needed to market the product or service to target. Many times an OBM may suggest bringing in a launch marketing expert to assist with the strategy of a launch promotion, or receive clear instruction from the client on the marketing plan for that launch. If you are in a spot as an OBM where you are not certain what to do in a launch situation, it is important you speak up and let your client know. I say this because we must always keep what is best for the business at the core of how we run a business. If the business needs a programmer (and I who know nothing about programming) attempt to create the code this business will be in trouble when we go to apply the code. I would never do this. If the business needs a solid marketing plan and you don’t have it, please let the client know and get the resources you need. Now understand it is still the responsibility of the OBM to ensure it is implemented properly, but of course. ? Keywords Are … Well, Key! Keywords, the select words and phrases you focus on in your website name and copy, blog posts, and even social media, are a vital part of your brand’s online marketing strategy. Choosing the right keywords and developing a keyword strategy are among the first steps to building an online presence around your brand – it helps potential customers find you, know who you are and what you do. 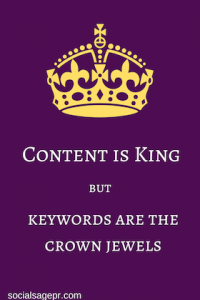 Content is king, but keywords are the crown jewels. When you choose a domain, develop website copy, and write blog posts, you’re not only telling the world who you are, but you’re also leaving breadcrumb trails for your potential customers to find you. When search engines, such as Google or Bing, crawl through your website (as they do with every page, on every site, on all of the Internet), their bots will index your pages based on the terms and phrases in your copy. The headlines in blog posts, the alt tags on your photos, and the meta data on your site should all be written with your brand’s keywords in mind. This isn’t to say that keywords are the only important part of your copy. Search engine rankings have developed algorithms to detect the difference between keyword repetition with poor quality content and keyword usage with well-informed copy. Your keywords should be backed up by your wealth of information and great product offerings in those areas. Great keywords and well-written copy also give influencers in your industry a reason to link to your pages. If someone who ranks highly for particular keywords links to your blog post or website from their site, your ranking for those keywords will improve as well. Social media messaging should also use your keywords. When your followers share or engage with your posts, your keywords show their friends and followers what your brand is all about. One of the biggest mistakes that an entrepreneur or marketer can make is to develop keywords using the company’s internal terms. We each have a deep knowledge about our area of expertise and it’s easy to forget the types of words and phrases a layperson might use when searching online. 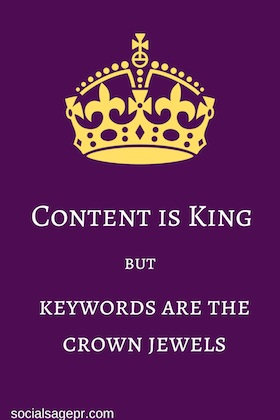 Keywords help them to find you when they conduct a search. You want to rank for the problem you solve, not just for the solution you offer. That’s why it’s vital to develop a marketing campaign with potential customers’ needs in mind. So how do you find the words and phrases? A great place to start is with words from the customers’ mouths (or keyboards!). Go to Amazon or Yelp and read through the reviews for a book you wish you wrote or would give to a client as a gift. Look for the words and terms happy customers use in their reviews, the words that are emotional triggers will pop out, these are very likely your keywords. Try using them on social media, and see how customers and potential customers respond. If you have a book, product or business that is reviewed online, read through your reviews too. Have a long list of potential keywords? The Google Keyword Tool is a great, free way to research searching patterns on Google and determine the best words to use in your content. Once your keywords are in line, you’ll be amazed at how much easier it is to develop an online marketing strategy around your business. Donna Cravotta is the CEO of Social Sage PR and the creator of the Total Social PR System™ and Publicity Prowess™. She helps entrepreneurs and small to mid-sized businesses maximize their online presence with a very different approach to social media and public relations. Her commitment is to ensure that her clients are empowered to amplify their unique voice and share their purpose, without overwhelming their schedules. A natural connector of people and a relationship builder long before Facebook even existed, Donna has created a simple, yet strategic method to reveal hidden opportunities online that create authentic situations for her clients to grow their networks, gain loyal followers, connect with the media, and do it all with ease. Donna knows a thing or two about creative (and cost-effective) social media and online strategy, the best part is… she teaches her clients how to build these strategies into their own businesses in an ongoing and sustainable way. Her techniques can be easily implemented in just a few minutes each day to create valuable business connections, resulting in lasting relationships that lead to mind-blowing opportunities and endless possibilities. You can reach Donna at SocialSagePR.com. Social Media is STILL one of the hottest topics amongst business owners today, regardless of the size of the business, regardless of the target market, whether they are online business only or brick and mortar or somewhere in between. Social Media Marketing is often the topic of discussion. If I can be completely transparent with you, here at Online Business Manager.com (and all Tina Forsyth Companies) we have spent the past 2 years purposefully focusing on this area of the business. Sadly though, much of what we have done has resulted in very minimal return. This is by far one of the areas of the business that we can find ourselves on a bit of a hamster wheel… running, running, running, but never really getting anywhere. However, through our efforts all was not lost! We learned some invaluable lessons along the way, and developed (finally) a clear path to social media success. Hopefully you will be able to take these suggestions and consider them for yourself or your clients to ensure you are actually getting a measurable result. When I say an expert, let me clarify: I am talking about someone who truly understands both the strategy and implementation. An expert knows how to read the metrics and bring an analysis of what is working, what is not, and how to fix it. This person should feel comfortable that you are hiring them with the expectation that they will produce a result, rather than be paid by the hour for implementing a task. Once you have the strategy and know what the best practices are, then you’re ready to move forward in your social media efforts. These efforts are calculated and purposeful in execution. Simply put, there comes a time when all of us will need to extend beyond our own expertise. When this happens, it is sooo important to bite the bullet and hire someone who can get you the result you desire. Consistency – stay in front of folks CONSTANTLY! I will admit, we totally dropped the ball on this one in a few places through the “bootstrapping, we will figure it out, can’t be that hard” approach to social media. Honestly, what seems like an absolute annoyance of communication, is without fail one of the most important elements to being successful in social media. The key is to keep your BRAND in front of your market, not your offerings. Which means, we must be relevant on multiple layers of connection with what is going on in the lives of our prospective leads. Which has a whole lot more to do with them and a whole lot less to do with us. So it’s promoting, it’s engaging, it’s educating, it’s empowering… and it’s consistent. For years, we as a brand have been purposeful to ensure our fan base knew what we were offering and when. We have always tried to be available for questions and such as they would surface and felt this was the “win” of social media. But the truth is, it wasn’t the win. If anything, it actually hurt us and our efforts. By not keeping the BRAND in front of folks on a consistent basis when we did share something, it resulted in almost no return. If you do not STAY relevant, you will very quickly become irrelevant. Keep It Real – at the end of the day people are people. People want real relationships, they want to connect with folks who are having real experiences in their businesses. 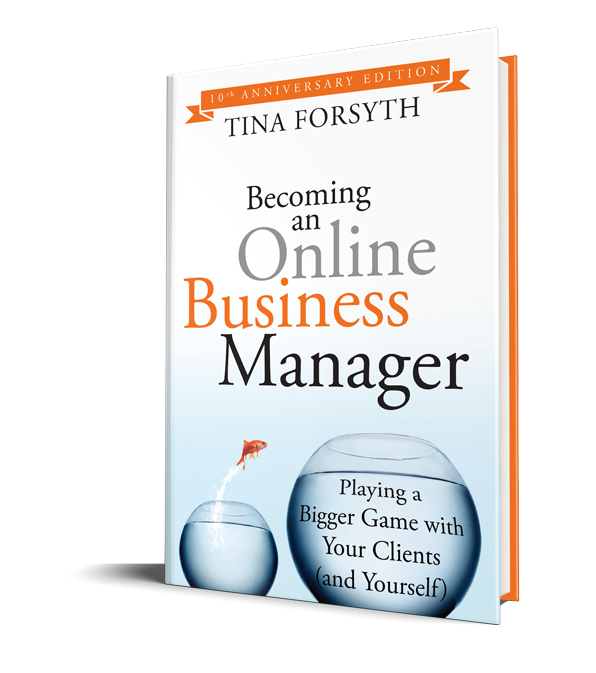 One of the things that Tina Forsyth has always done brilliantly, and that I desire to excel in, is always being herself with the communication throughout the brand. We are simply real women, growing real businesses, with real successes and real failures just like everyone else. As leaders in the industry, we desire, above all, to keep transparency at the core of how we serve. We are not perfect in our efforts (and trust me, social media has been far from a perfect journey for us), but we don’t quit, we don’t back down and we don’t let it beat us. With this attitude, we desire to keep it real with folks, and so far this has been one of the most successful elements of social media we have experienced! You hear that an important rule of marketing is to “know your audience,” but what you don’t hear as often, is that it’s just as important to “know your platform.” Crafting the perfect social media post is about the means and the message. Each social media site has it’s own personality and language, you want to know the types of posts appropriate for various platforms in order to get the best engagement and response from your audience. It is also important to identify where your audience is spending time online and be active in the sites where they are active. 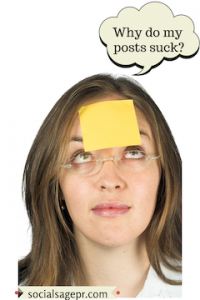 Ideal social media posts are not hard sells for your product. Instead, they’re conversations on topics related, or tangentially related, to your brand. They remind your customers of your brand and keep your products top of mind. They may not convert as soon as they see your social media post, but over time, your fans are significantly more likely to purchase or recommend you than non-fans. The ideal Facebook post includes interesting copy, a photo asset, and often, a link to “read more” or “learn more” on a company blog or other brand platform. The copy may ask a question or provoke a conversation based on the photo, as fans will see the two together. Even though Facebook’s word limit is now in the thousands, studies show that “short and sweet” is better when it comes to Facebook copy too. The Facebook algorithm curates its newsfeed on visual aesthetic. Photos and videos (especially those uploaded in the Facebook player) are more likely to appear in users newsfeeds, and are more likely to be clicked on by users, than word posts alone. The perfect Twitter post stands more on the legs of its copy than Facebook posts do. While photos and videos (embedded from YouTube or Vimeo) now show up in users’ Twitter Timelines, posts are still driven by text. Great tweets can include interesting quotes from blog posts or articles, enticing, specific statements designed to draw followers’ attention to the link (example: “How I saved thousands of dollars with 3 simple budgeting rules”), or questions or polls for the followers, especially if follower responses are used to shape your product offerings or branding decisions. Hashtags on Twitter: Definitely! Read my last guest post for more specific information and advice on Twitter hashtags. Updates on LinkedIn are generally more related to the career and business world. This is not so much the place to post about your new product offerings or upcoming discounts, unless you can relate it to a big-picture marketing discussion. However, if you’ve written a business or marketing-specific blog post, LinkedIn can be a great place to share with your customers and fellow entrepreneurs. LinkedIn posts can, but don’t need to, include photos. And if you link out to a blog post or news article, its thumbnail is pulled in on a photo for your post. Hashtags: Not used on LinkedIn. Instagram is a great medium to share your brand’s more “artistic” side. If you have a physical product, find ways to show off the way your product is made or demonstrate its various uses. Instagram is especially beneficial for brands in the food or fitness industries. But even if you sell non-tangible products, you can use Instagram to show off the culture of your company. Fun, funky “around the office moments,” or business trips to various locations can perk followers’ interest. Pinterest is a visual platform, like Instagram, but the photos aren’t always as “organic” or “in the moment.” While recipe and fitness photos are popular on Pinterest, the platform is also a great place for clothing and interior design photos, or inspirational quotes with interesting backgrounds. Pinterest is also a terrific platform for sharing digital products. Mashable is very creative in the way they have organized their digital content on their boards. Take a look for inspiration. Pinterest users like to be inspired. The perfect Pinterest post reflects the mood and tone of your brand, and it’s captivating or motivating enough for users to repin to their own followers. Conversations in Google Plus are similar in style and tone to Facebook conversations. However, you do have the opportunity to limit the post to particular fan “circles.” If you have a passionate group of “superfans,” you may want to post a special incentive or reward to just these followers. Hashtags on Google Plus: Yes! Google Plus automatically creates hashtags on your posts, depending on keywords used. Crafting the perfect post for your platform is a great start, but it’s also vital to engage with the thread after it’s posted. We don’t ask a question, and then walk away from the conversation! Respond to your followers’ responses, ask more questions, “like” or “favorite” their replies, and feel free to retweet the good ones (on Twitter). When audiences see that their responses are heard, they will stay connected and continue to engage in the future.